Today we are sharing a teaser reveal for the upcoming romantic suspense title by Alex Grayson. 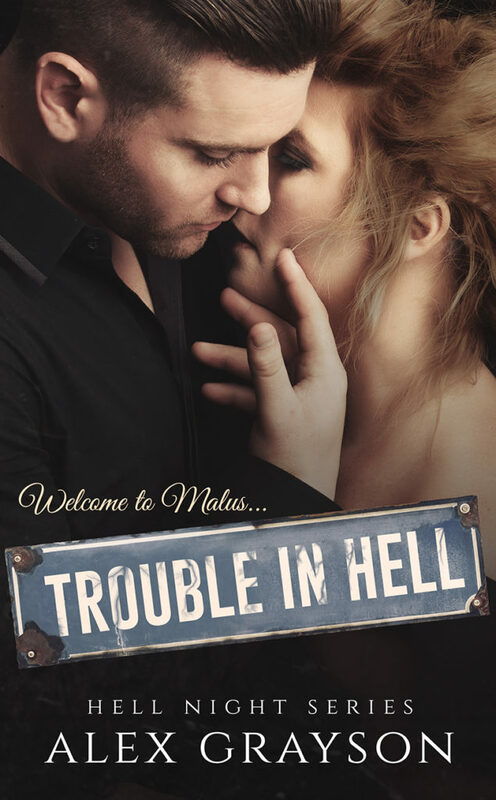 TROUBLE IN HELL is the first title in her Hell Night Series and it will be releasing on October 18th. You can pre-order it now while it’s on sale for just $2.99 (regular price is $3.99). Watch the book trailer below, and find out how you can be one of 50 people to receive an exclusive Trouble in Hell Swag Pack! Sign up for Alex’s Newsletter to receive the prologue of Trouble in Hell! Originally a southern girl, Alex now lives in Ohio with her husband, two children, two cats, and dog. She loves the color blue, homemade lasagna, casually browsing real estate, and interacting with her readers. Visit her website, www.alexgraysonbooks.com, or find her on social media!